The artistic genius of Chef Jordi Panisello and his amazing pastry team is displayed daily at Fontainebleau's Chez Bon Bon. 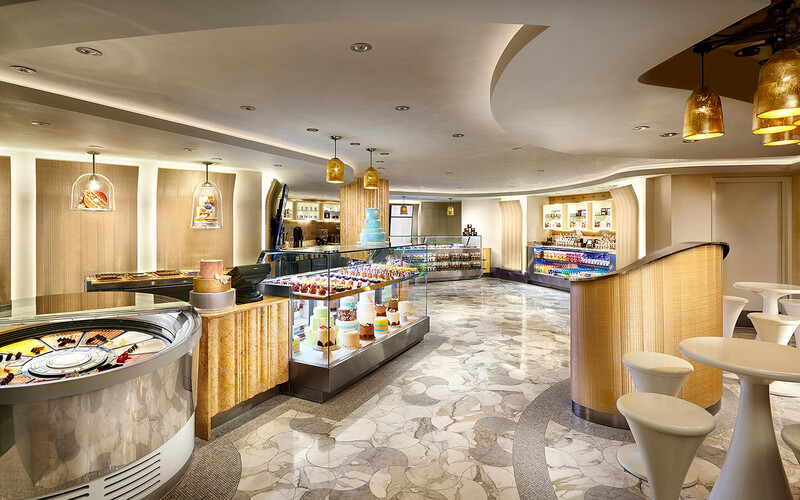 Guests will be welcomed into this imaginative shop by Fontainebleau chocolatiers creating their delicious treats - a fitting entree to the world of carefully crafted coffees, chocolates, cookies, cakes, gelatos, salads, sandwiches and more. Synonymous with Fontainebleau since 1954, chez Bon Bon will offer the most exquisite, hand crafted, on-of-a-kind, delectable, edible creations, as well as a selection of custom signature 8", 12", and 14" cakes and patisseries to go.